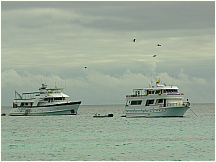 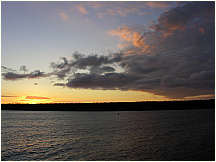 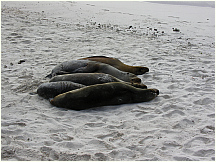 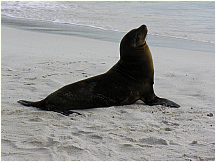 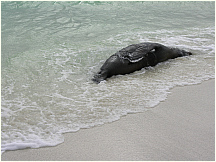 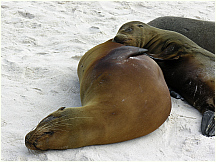 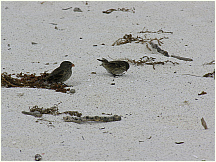 Free photos of Gardner Bay on Española Island (Hood Island), Galapagos Islands, Ecuador. 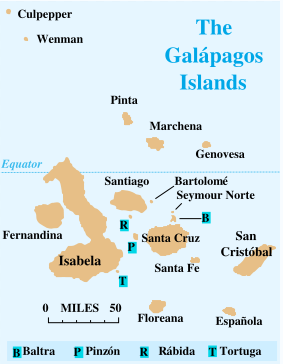 Española Island (Hood Island) is named in honor of Spain. 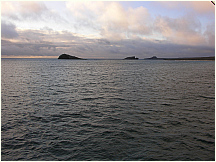 The English named it Hood Island. 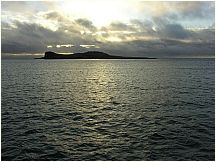 It has an area of 60 square kilometres (23 mi²) and a maximum altitude of 206 metres (676 ft). 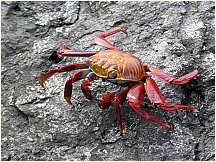 It is located in the extreme southeast of the archipelago and is considered, along with Santa Fe, one of the oldest, at approximately four million years. 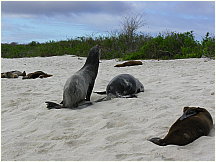 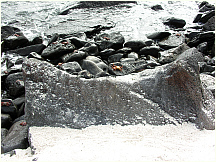 A popular tourist stop, Isla Española is the most southerly island in the Galápagos Archipelago. 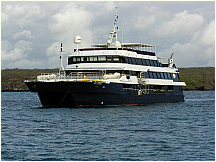 It is about a 10- to 12-hour trip by boat from Isla Santa Cruz. 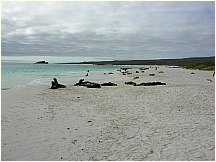 Tourists come to see the albatrosses and the mating dances of blue-footed boobies on Española Island. 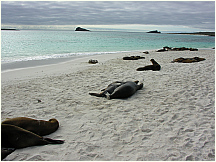 The island's remote location has a large number of endemic fauna. 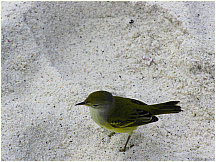 Secluded from the other islands, wildlife on Española adapted to the island's environment and natural resources. 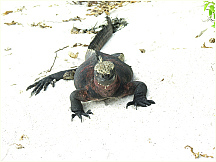 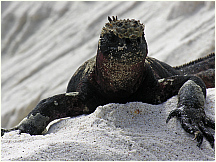 Marine iguana's on Española are the only ones that change color during breeding season. 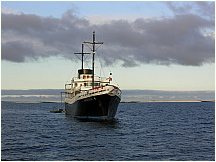 The Waved Albatross is found on the island. 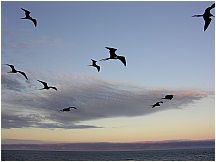 The island's steep cliffs serve as the perfect runways for these large birds which take off for their ocean feeding grounds near the mainland of Ecuador and Peru. 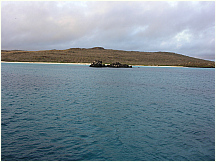 Española has two visitor sites. 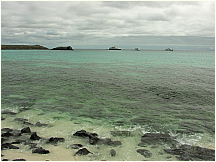 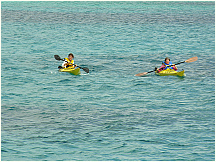 Gardner Bay is a swimming and snorkeling site as well as offering a great beach. 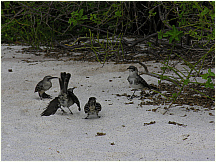 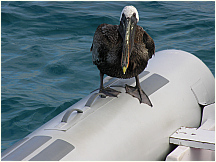 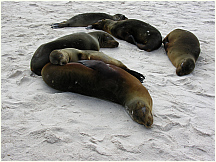 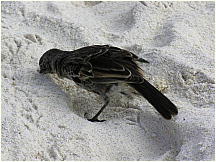 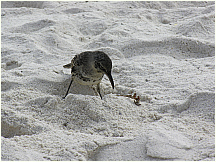 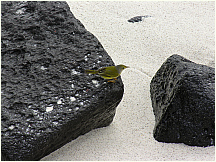 Punta Suarez has migrant, resident, and endemic wildlife including brightly colored Marine Iguanas, which have red markings on their backs, Española Lava Lizards, Hood Mockingbirds, which have a longer and more curved beak than the ones on the central islands, Swallow-tailed Gulls, Blue Footed Boobies and Nazca Boobies, Galápagos Hawks, a selection of Finch, and the Waved Albatross.